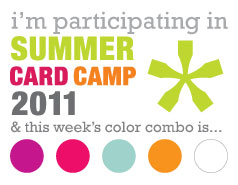 A couple of days ago I shared how I won a spot in the 2011 Summer Online Card Class being held by Jennifer McGuire and Kristina Werner. This morning I received my first pdf file with the color combination for the week AND two superb sample cards by the card mavens themselves! Here is the card I made this morning with the color combination and I'm just in LOVE with this combo! 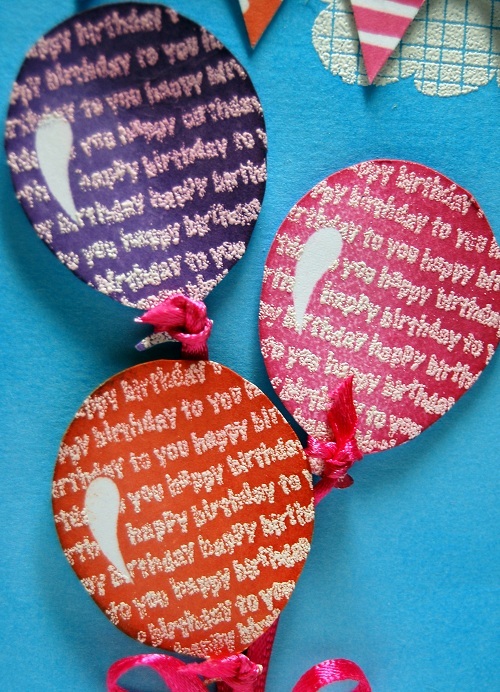 I had so much fun putting together the little party pennants - here is a close up of the pennants and balloons. Thanks for stoppy by! I hope you'll find some inspiration from the class materials I'm allowed to share and if so, please leave a comment so I can check it out! Very cute card it looks fun! WOW! Love how you used the colors. Beautiful embossing of the balloons and love, love, love the flag banner! 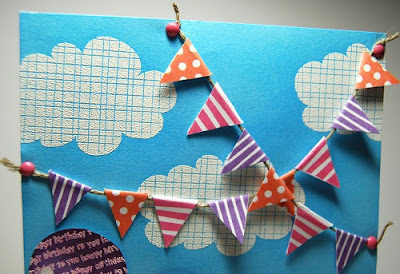 Great card - love the banner! What a super way to get all those colors incorporated so seamlessly! Love the banners and balloons! Looking forward to a great month! Love your card- it's so alive & cheery! Really does feel like a celebration! Thank you for the nice words over at my blog! Your card really caught my eye right away - it's such a nice card and I love everything about it! Seems as if our style is pretty much the same and it's gonna be wonderful to follow your work during this class as your fellow class mate! Oh goodness! This just makes me happy! There are so many colorful details that work together perfectly! Well done! You did such a great job on this card using the colors for the week! Very nicely done! 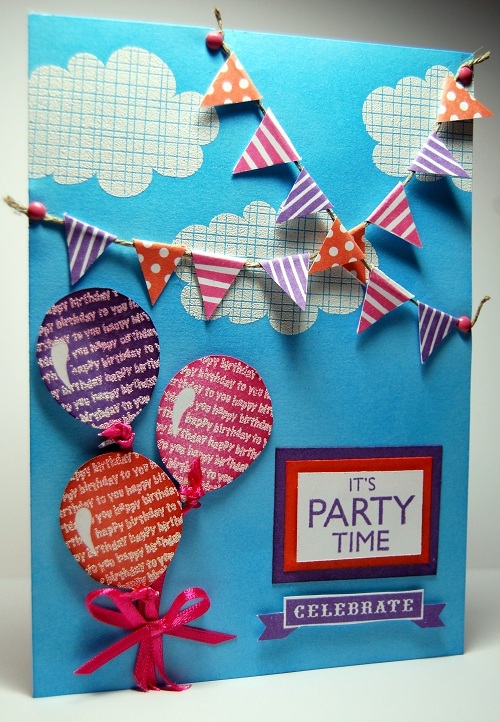 It looks like the perfect party is happening right on your card! Thanks for commenting on my card. Yours is so wonderfully festive and cheerful! I think we both glory in bright color. Look forward to seeing what you do next week for camp.